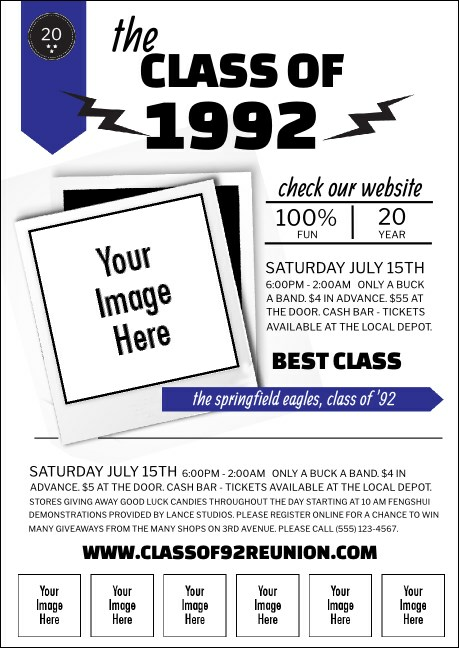 Advertise your alumni event like you taught the class on it when you print Class Reunion Mascot Blue Postcards and send them out to your guest list in advance. With room to upload seven of your own images, you can include your school’s mascot, sponsors’ logos, or even pictures of special guests! Great pre-event advertising is always in session at TicketPrinting.com.